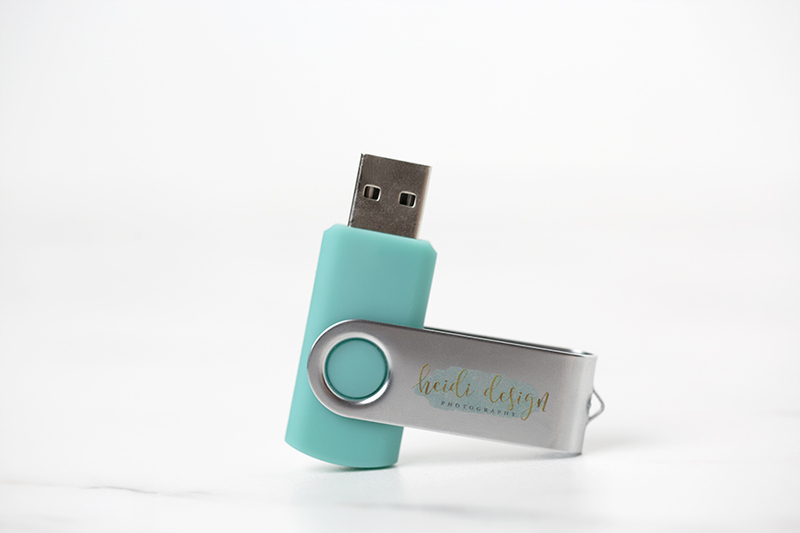 This a perfect high quality, yet cost effective way to deliver your digital photography files. 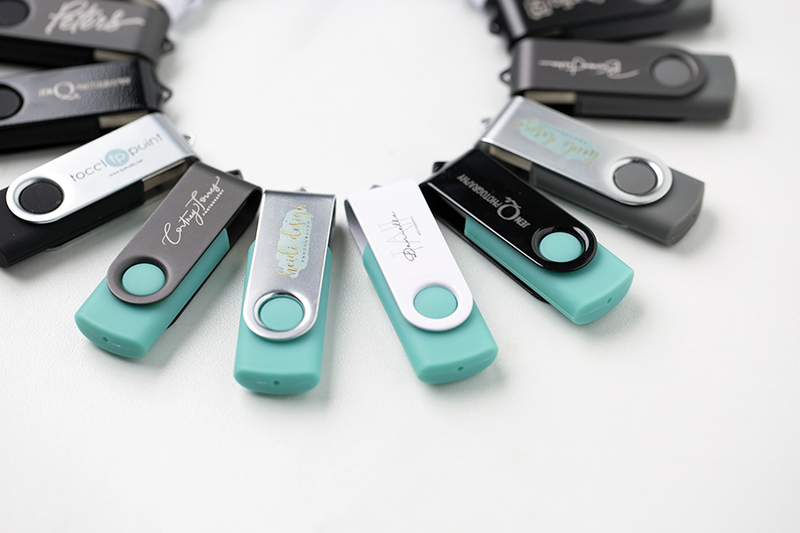 The Swivel Flash Drive Base is available in 4 color options: Black, Teal, Titanium, and White. The Swivel Caps are available in 3 color options: Black, Titanium, and White. Pricing includes two-sided laser engraving or full color printing. 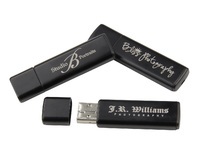 You can engrave your studio logo on one side and 2 lines of text (20 character limit per line) on the other side. 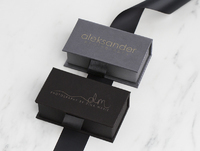 For a complete package delivery pair with one of our USB Kits or one of our other USB packaging options. Customers who purchased a Tyndell Swivel Flash Drive also purchased these items. Rate our Swivel Flash Drive.